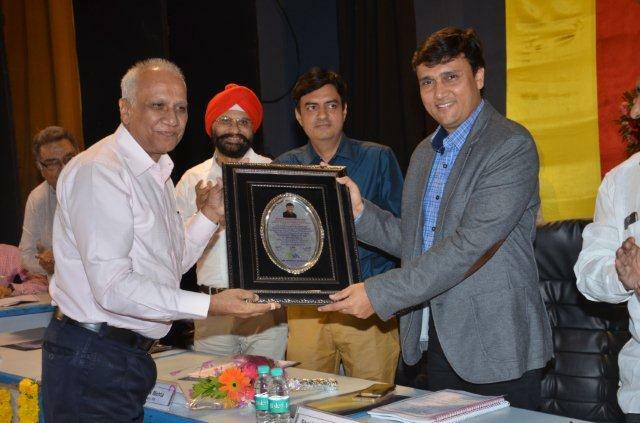 In the last few years the Industries, the Association and Vapi Green Enviro Ltd., the environment management company of the estate has put tremendous efforts and made sizeable investment to maintain the ecological balance and improve the environment of the estate and surrounding areas. In this effort we bless to always get guidance and support from various State and Central Government Minister and Senior Officers. 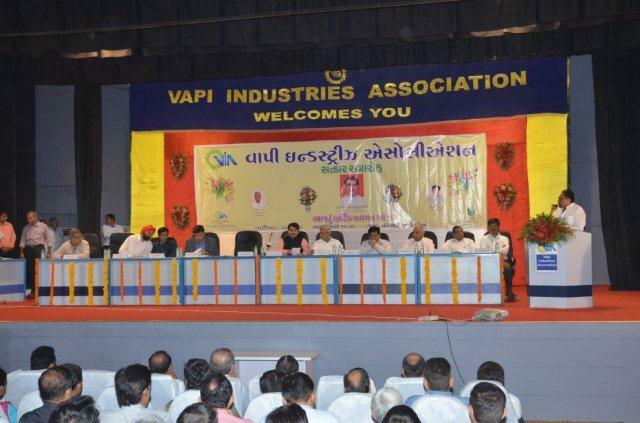 With the support of such ministers and senior officers and collective efforts of the Industries Members, GPCB, GIDC, NAA and VGEL, Vapi has come out of Critically Polluted Area and the Moratorium has been lifted from Vapi Industrial Estate. A felicitation program has been arranged for Hon’ble Minister of State for Environment, Govt. 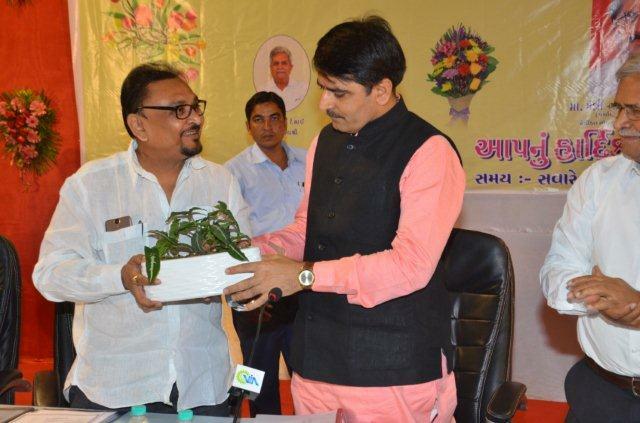 of Gujarat, Shri Shankarbhai Choudhary & Shri Hardikbhai Shah IAS, Director (Environment) & Addl. Secretary, Govt. of Gujarat & Member Secretary, GPCB on 28.12.2016 at VIA Auditorium for their guidance and support to to take Vapi out of Critically Polluted Area and to discuss about the future expansion plans of the Industries and the estate post lifting of moratorium. 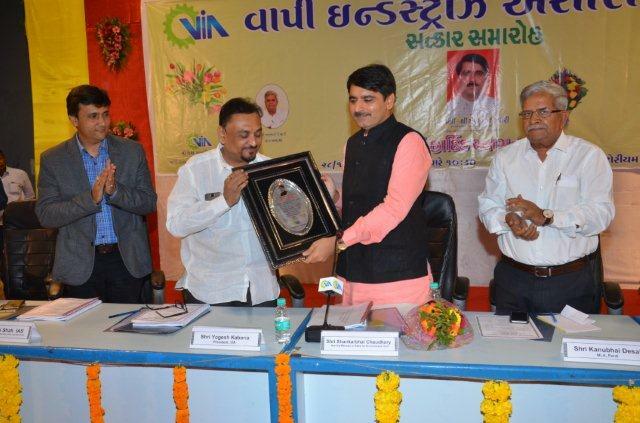 The program was attended by Shri Kanubhai Desai, MLA, Pardi, Directors of Vapi Geen Enviro Ltd. (VGEL), Past Presidents, Advisory Board Members, Committee Members & Members of VIA and the Press & Media Members.